HELLO? TIFF WHERE ARE YOU? I've neglected my blog for the longest time. The time will end now. It's time for a new beginning. and of course more planner layout photos and Plan With Me's. I'm making a comeback! Hope you enjoy my new home here and stay tuned! Taking some time today to make goals for the New Year and I couldn’t help but reflect back on 2015. I’ve done so much and accomplished goals/dreams that I didn’t even think I could. I would say that 2015 was a planner adventure for me. 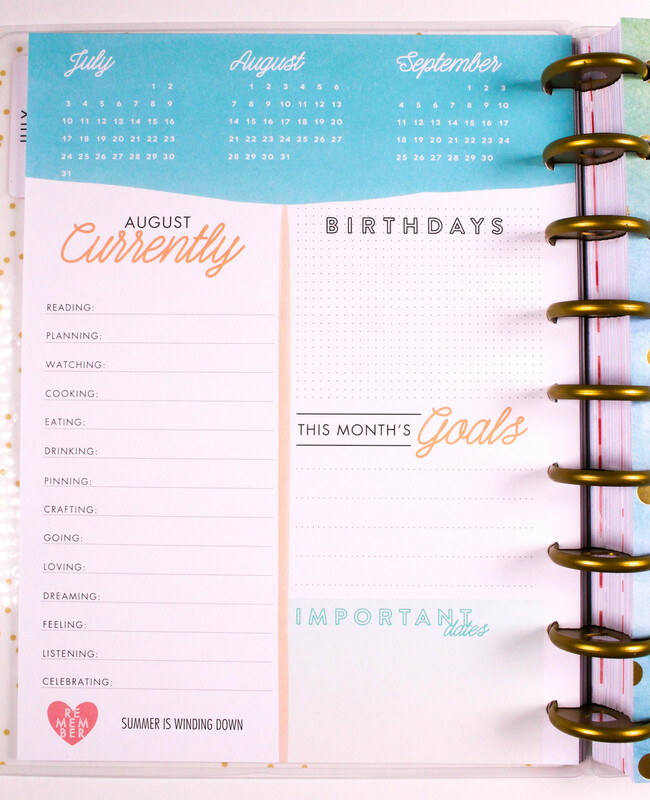 It made me think how much I love this planner community and truly enjoy creative planning. I always thought my life would be the beauty industry (it still is, my heart still loves makeup) but this new change in my career has brought my so much joy and happiness. It's nice to have a "change of pace" and I'm so happy I found my change in 2015. Early last year I started the Pacific Northwest Planner Group- a little group for planners in the area to get together and share their love for planning. The first meet-up of 35 people in my condo's owner's lounge was the little spark that ignited the flame. Little did I know I would be planning planner parties with my friend Rhondalei and watching the group grow and grow to now 550 members!. I can’t wait to celebrate the one year birthday of this group which has brought the Seattle/Vancouver, BC and Portland planners together. I’ve been blessed to be part of 3 design teams- The Planner Society, Studio l2e and Me & My Big Ideas. To be selected to be on a design team is an honor and I'm so thankful that these companies chose me to represent them. I love spreading my passion and creativity with all of you. A big dream/goal of mine was to own my own business. However, I always wanted it be beauty related since I am a makeup artist but this year everything changed. Thanks to my planner friend Sierra who shared my homemade page flag stickers that I sent her on her IG .. my little pocket letter filler turned into a full blown business. Villabeautifful has been my brand since the very beginning of my makeup career and now it’s revolving into something and it’s such a good feeling! The comments from all of YOU, my customers, have made me want to strive for bigger and better things for VB. I couldn’t be happier and more blessed for this community and how all of you have impacted my life. THANK YOU! I’m excited to see what 2016 holds for me and Villabeautifful- can’t wait to share it with all of you! For those of you who are regular subscribers to The Planner Society Monthly Kits you'll agree with me that October was just beautiful! I'm a lover of florals and jewel toned hues so when I first laid my hands on the kit it was a match made in heaven. Each month Christy Tomlinson puts together the cutest embellishments from sticky notes, stickers and whatever her creative mind can think of. I'm always in awe when I receive my monthly kits. Even though I've been a Creative Team member from the very beginning I still sit down and look at each item and say to myself "I don't want to use this, it's too pretty!" I always get asked what's my favorite product or embellishment in each kit. For this month it would have to be the floral print papers (blue background one and the orange one). The colors just pop! Take a look on how I used the kit to decorate my new black Kate Spade Planner and Traverler's Notebook Insert.